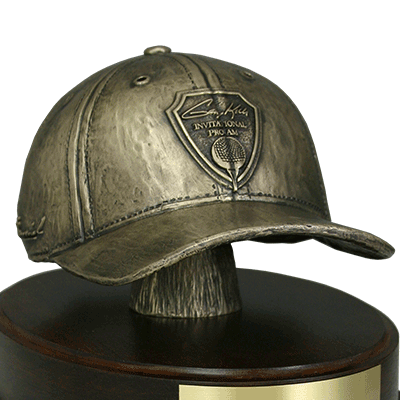 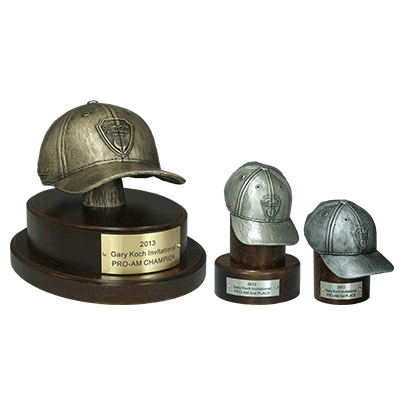 Apart of MDI’s stock sculptural series this golf cap comes in two sizes, and allows you to customize the sculpture with up to three logos, engraving on the brim, and a variety of base sizes. 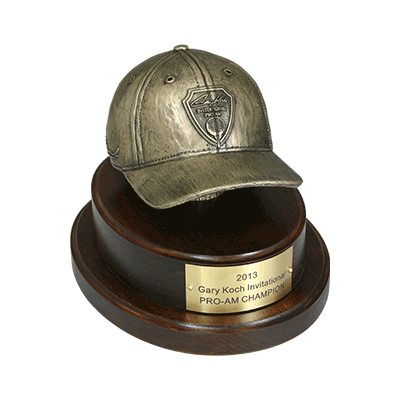 The "Gary Koch Invitational" Pro-Am event used a large bronze cap and two small aluwhite caps. 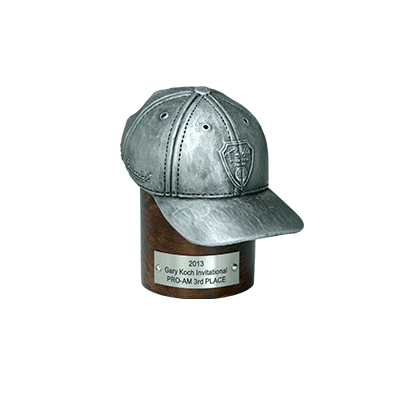 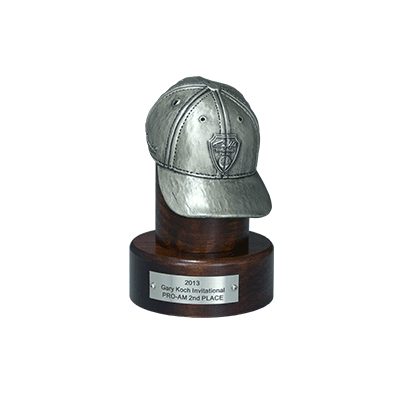 Each cap was adorn with two logos and set atop of cherry wood bases with engraved nameplate. 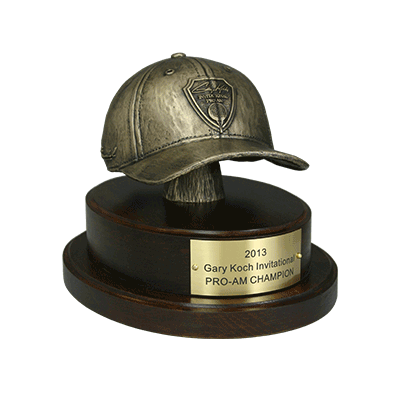 These trophies were awarded at the Pro-Am event held to benefit and support several Tampa Bay area organizations.